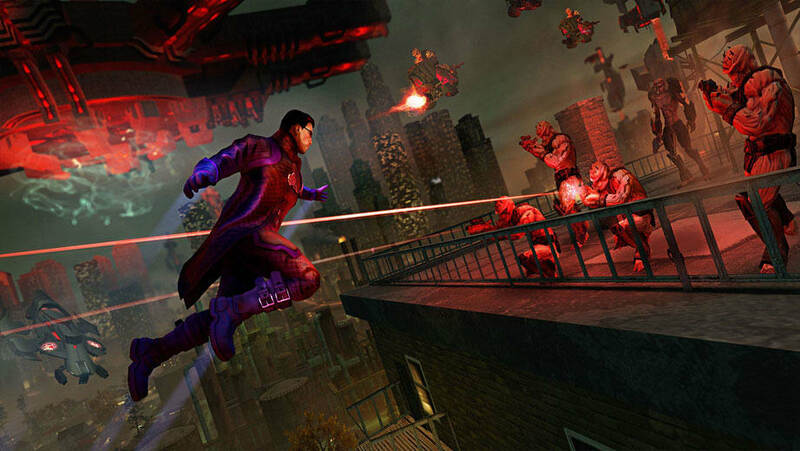 Buy Saints Row IV at GAME today with free UK delivery available. Earn 2% of your purchase value back in GAME Reward Points. Crazy alien invasions. Dubstep guns. Super powers. A Saint in the White House. And shooting Satan in the face?! 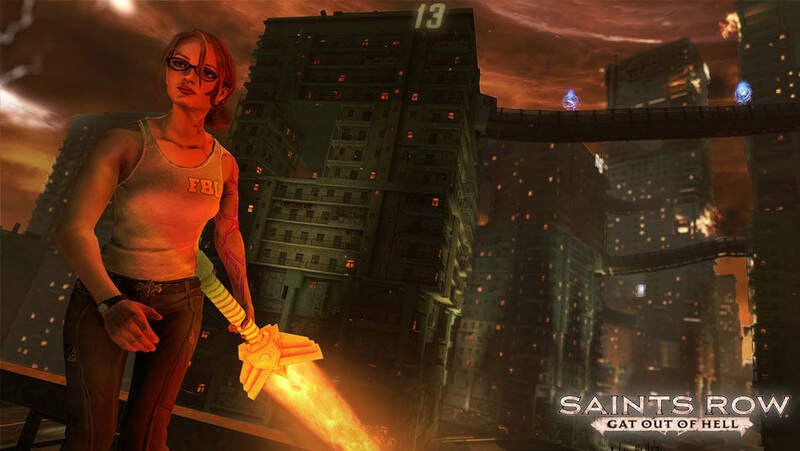 It can only be Saints Row IV: Re-Elected & Gat out of Hell for PlayStation 4 and Xbox One. Saints Row IV: Re-Elected & Gat out of Hell is the best instalment in the Saints Row series to date. This open-world adventure is rebuilt using the power of the PlayStation 4 and Xbox One and sees the Third Street Saints leave Steelport behind and taking on the only challenge left  President of the United States. But they'll have to rely on their old skills once Earth is invaded and they're all that stands between freedom or defeat at the hands of the villainous Zinyak and his Zin forces. Fortunately, the Saints have plenty of new cards up their sleeve. Cards like new super-powers, like running, jumping and telekinesis. And new weapons, including the head enlarging Inflat-O-Ray or the Dubstep gun where your enemies dance till they drop. The typical Saints humour is also in your arsenal as the Saints take on the Zin in an alien recreation of Steelport where anything goes. It's President vs evil. 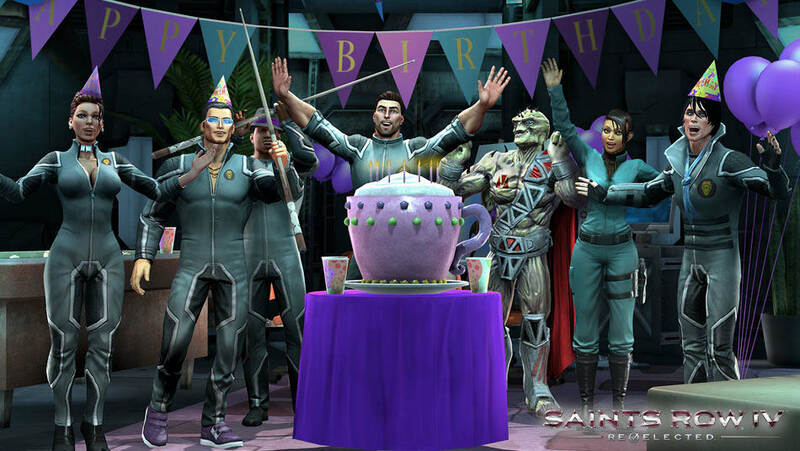 Order Saints Row IV today! Tired of flying on the wings of a fallen angel? With the Devil's Workshop Pack you can fly on the purple wings of a Saint instead. Also included; Yorick, the flaming skull that acts as the source of Shakespeares infernal might. Finally you can wield all of the power of Shakespeare with none of the iambic pentameter: what's not to love? Order Gat Out of Hell today! Order Saints Row IV: Re-Elected & Gat Out of Hell on PlayStation 4 or Xbox and you will receive the Plague of Frogs bonus content. Take some mementos from hell with you to virtual Steelport! Rain amphibian death onto Zinyak's army with the Lil' Croaker, and look good doing it in either the Grenadier costume or the Jezebel costume. Terms and Conditions: UK ONLY. Limited Offer while stocks last. Customers who have ordered Saints Row IV Re-Elected & Gat Out of Hell will also receive the Exclusive Plague of Frogs bonus content. Your download code and redemption instructions will be emailed to you. Please Note: Internet Connection & access to Xbox Live or PlayStation Network required. Bulk or Business preorders (orders in excess of 10 copies of the same game) will only receive 1x download code per order not per copy of the game. This offer is exclusive to Game Retail Ltd. Your Devil's Workshop bonus will be included inside the game case. RE-ELECTED & GAT OUT OF HELL! Rebuilt and retooled, Saints Row IV Re-Elected brings all the craziness of the Third Street Saints to the Xbox One and PlayStation 4! 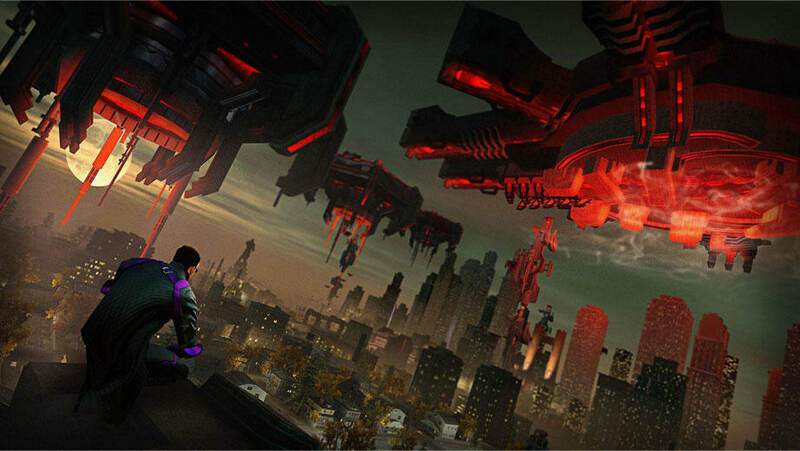 Containing all the previously released downloadable content, Saints Row IV: Re-Elected lets you play through the entire Saints Row IV story in more detail thanks to the power of the next generation consoles. 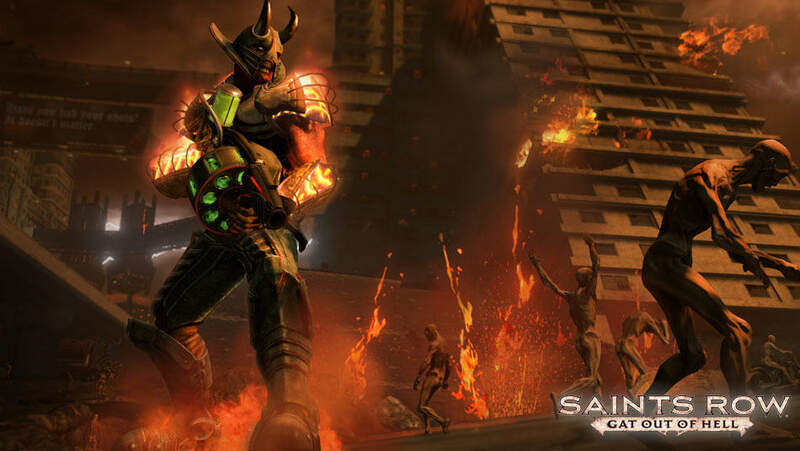 On top of Saints Row IV: Re-Elected, you'll also get to play through the new expansion Gat out of Hell that sees the Saints own devil, Johnny Gat, and Tech whizz Kinzie, going toe-to-toe with the forces of Hell and Satan himself. You'll face new enemies, use new weapons and even punch Satan in the face! Sin with the Saints and order now. 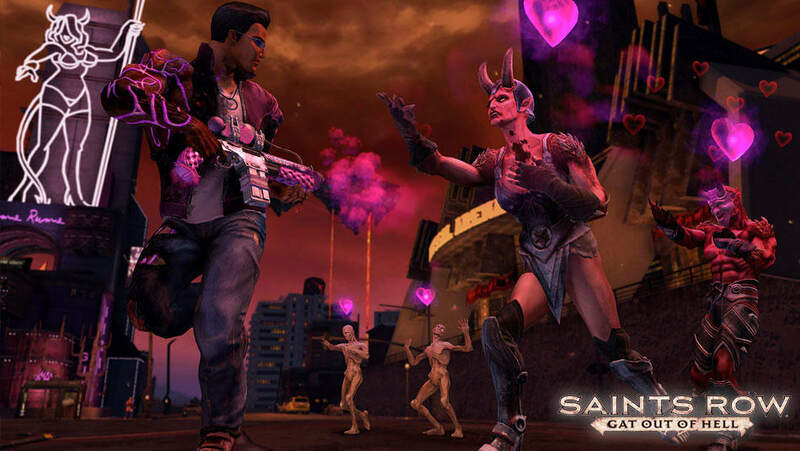 Jump into the wacky world of Saints Row IV: Gat Out of Hell, the latest instalment in the Saints Row series for PlayStation 3 and Xbox 360. 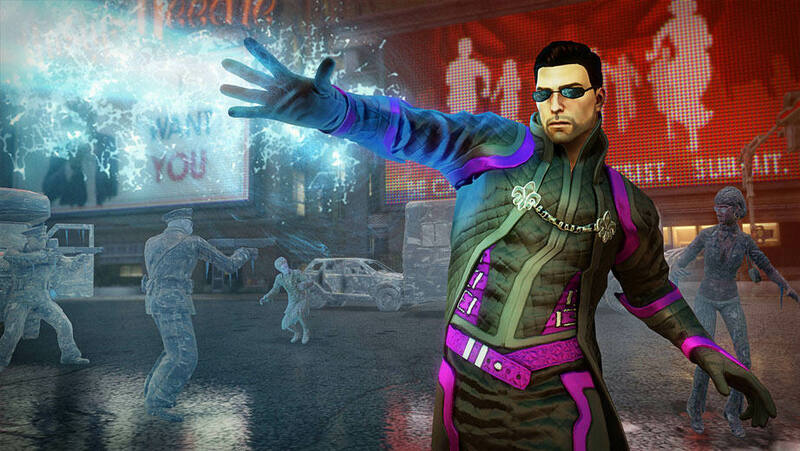 Play as fan favourites Johnny Gat or Kinzie Kensington either alone or in 2-player online co-op modes. This crazy, over-the-top, fun-filled adventure completely cuts the shackles as you wage war in an open world of hell against the Prince of Darkness. 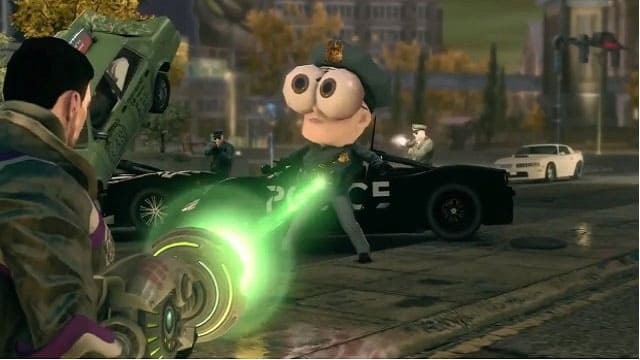 Saints Row IV: Gat Out of Hell includes a variety of weird and wonderful weapons: fire exploding frogs at enemies, shoot swarms of locusts, and dish out destruction from the comfort of a lethal armchair. 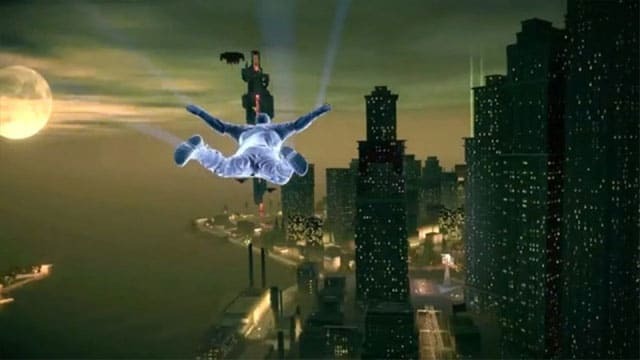 Rekindle your love for the super powers once experienced in Saints Row 4  fly through the hot air of hell on the wings of a fallen angel, instruct imps to attack your adversaries, and surround yourself in a divine aura that forces all to worship you. 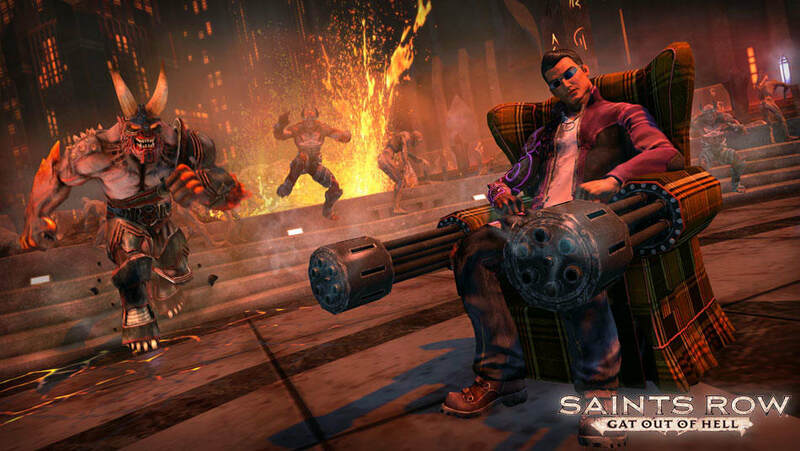 Ready yourself for havoc in hell and order Saints Row IV: Gat Out of Hell now. Suit up with two Exclusive costumes to tackle your enemies in style  and grab all the bonus items from the Commander-In-Chief edition, too! Bring the world of Saints Row IV to life with replica weapons that will astound  and possibly annoy your friends, as well as the Commander-In-Chief in-game content!